Weseebeauty.com is showing us a new take on creative collaborations this year. The e-commerce site and social enterprise platform is debuting it's first makeup collection, dubbed MAKE, "created to change the beauty paradigm and encourage creative self-expression." The brand will use collaborations with modern color artists (from film and design, to music, gaming and art) and makeup artists to showcase the wide range of colors and unite art, beauty, and culture. Plus, approximately 33% of each MAKE purchase will go straight to the We See Beauty Foundation, a non-profit organization that funds women-led cooperatives in the U.S. If that doesn't convince you to try the products, wait until you see the beautiful packaging, amazing formulas and huge range of products and collabs MAKE has to offer. After all, they are made by the same company who is responsible for Nars. The first collaboration, New Medieval, involves makeup artist Ayami Nishimura and London-based interior and furniture designer Faye Toogood. The two worked together to create a variety of looks and products inspired by unexpected landscapes, objects and emotions. They collected inspirations from starry skies, rocky mountains, and stormy seas to celebrate elemental forces. "Transposing the beauty of the natural landscape to the landscape of the face, New Medieval features dark, deep pigments and powders that do not require ruls or the use of professional brushes, but should be painterly, primal, instinctive and gestural," said Faye. 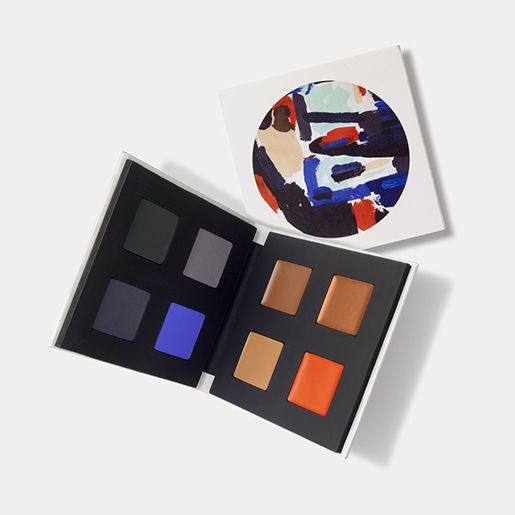 The line includes matte lipsticks, eyeshadows, gel eyeliner pencils, transluscent powder, primer, and a stunning palette featuring four shadows and four lip colors (pictured). "MAKE colors are true to form in that what you see really is what you get. From eye shadows and cheek colors to lipsticks and gloss, you see the same color on your face as you see in the packaging, even with the subtlest of colors," said Ayami. 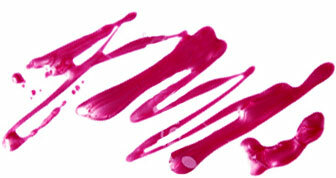 Every shade is so rich and packed with pigments, but still is able to go on as subtle as you wish. You can see and buy the entire product line at weseebeauty.com. We urge you to visit the site. It's packed with inspiring photos, looks, videos, and beautiful makeup and skincare.